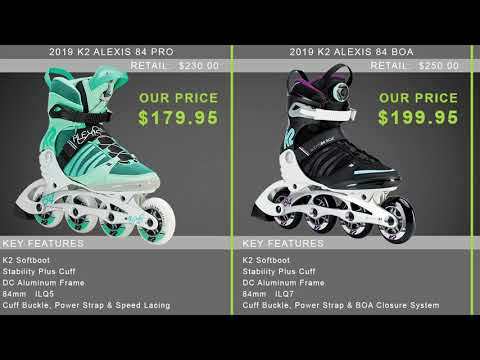 Get fitness, performance, stability and fun all in one package with the K2 Alexis 84 Boa Women's Inline Skates. This skate comes out of the box with 84mm wheels and ILQ7 bearings, giving you awesome speed with a nice smooth roll. The frame is compatible with 90mm wheels as well, so you can take it up a notch when you want to. 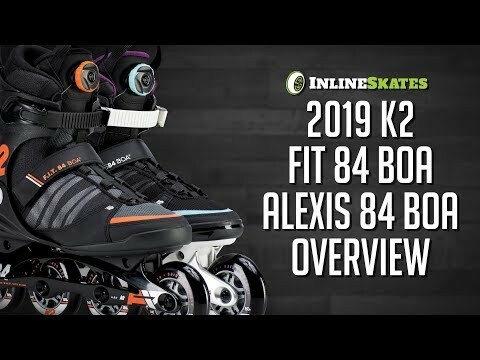 The Alexis 84 Boa Women's Inline Skates come with the K2 Softboot liner for maximum comfort and a Boa Closure system for a secure fit that takes just a turn of a dial to adjust.